Michael Bulychev-Okser is an internationally acclaimed American pianist, composer, and producer. A top prizewinner of many international competitions in USA, Italy, Andorra, Spain and Mexico, pianist Michael Bulychev-Okser was born in Moscow, Russia in a family of distinguished musicians. He composed and played music since the age of seven. Because of Michael’s early and extraordinary talent, famous Russian composer T.Khrennikov took Michael, then nine years of age, under his instruction at the Moscow State Conservatory. A protégé child from an early age, Michael studied piano performance at the Moscow State Conservatory with Professor Mikhail Voskresensky. At the age of 11 Michael made his piano debut in the Rachmaninoff Recital Hall of Moscow Conservatory. At the age of 12 Michael began his first concert tour to the countries of Mediterranean, visiting Greece, Israel, Egypt and Turkey. Within 5 years New York Radio Station - WQXR’s Robert Sherman featured Michael in a Showcase Debut in a performance of Khachaturian's piano Concerto. In 1998 Michael continued his studies in composition at La Schola Cantorum, Paris, France, where he received an Honored Diploma of studies in composition under the tutelage of the famous Franco-American composer Philip Lasser, which he continued to study with until 2002. At the age of just 17, Michael was added to the distinguished list of the famous worldwide dictionary “International Who’s Who in Music and Musicians” Cambridge, England. Same year, David Dubal, author of the bestseller "Evenings with Horowitz", welcomed Michael at the Polish Kosciuszko Foundation House, to perform several works by Polish composers, naming Michael as "... the great talent...” In 2005 he received the Award for the Best Interpretation of Spanish music in Andorra, and in 2006 he was awarded the Best Interpretation Special Award for his performance of music by Franz Liszt. A recipient of “Who’s Who in Music”, “Outstanding People of the 20th century” among other awards, Mr. Bulychev-Okser performed at the world’s most prestigious stages: Carnegie Hall, Merkin Hall, Steinway Hall, (New York), Kennedy Center (Washington D.C.), La Salle Pleyel (Paris, France), Wigmore Hall (London, United Kingdom), Heichal Hatarbut (Tel Aviv, Israel), Palace (Alexandria, Greece), IBK Concert Hall (Seoul, South Korea), Rachmaninov Hall (Moscow, Russia), Tallinn’s Suur Saal at Vene Kulruurikeskus (Estonia), and Centermex Theater (Monterrey, Mexico). Michael Bulychev-Okser collaborated with most notable musicians: Sergei Stadler, Borislav Strulev, Olga Makarina, Yuri Didenko, Oxana Yablonskaya, Daniel Pollack, Leonid Kerbel, Dmitry Yablonsky, Martin Canin, David Dubal, Jonathan Strasser, Robert Lahrbaumer, Kynan Johns, Min Kwon, and Mikhail Voskresensky. An extensive performance schedule finds him between Europe and The United States in both solo performances and appearances with orchestras: including Manhattan Philharmonic, Novgorod Philharmonic, Vienna International Chamber, Parnassos Symphony and Rutgers Symphony among others. In 2009-2010-concert season Bulychev-Okser performed a series of 8 concerts, featuring Complete 32 piano sonatas by L. von Beethoven. The concerts took place at Barge Music in New York. Twice in a row, in 1997 and in 1998, Michael received a prestigious Richard Kimball Award for the excellence in composition. In 1998, Manhattan school of Music featured 2-hour recital of Michael Bulychev-Okser’s solo and chamber music. In 2005 he received the Granados Award for the Best Interpretation of Spanish music in Andorra, and in 2006 he was awarded the Best Interpretation Special Award for his performance of the music by Franz Liszt. In 2010, Michael received the Polish Music Performance Award. The award presentation was followed by Michael’s triumphal 2-hour recital of music by Polish composers: Chopin, Moszkowski, Paderewski, and Scharwenka at Kosciuzsko Foundation House in New York. In 2009-2010-concert season Bulychev-Okser performed a series of 8 concerts, featuring Complete 32 piano sonatas by L. von Beethoven. The concerts took place at Barge Music in New York. Bulychev-Okser's discography includes recording of Beethoven's Pathetique Sonata, and Granados's Goyeskas (RCM label). Bulychev-Okser's New CD featuring Piano Transcriptions of Past and Future was released in December of 2012 on Neue Sterne Classical Artists Label, Hannover, Germany. As a composer, Michael Bulychev-Okser writes in a variety of styles and genres. His works include solo piano compositions, romances for voice and piano, various chamber works, Cantata for Chorus and several works for the large symphonic orchestra. In 1998 Richard Kimball, a prominent American composer for the jazz music presented Michael an Honorary Composers’ Award. In the same year 1998, there are followed a recital full of compositions by of Michael Bulychev-Okser. Since 2011, Michael Bulychev-Okser is an Honored Member of the American Society - Meet the Composer (New York). A frequent guest at prestigious music festivals (in Spain, Italy, Mexico, Ukraine, The United States, etc.) 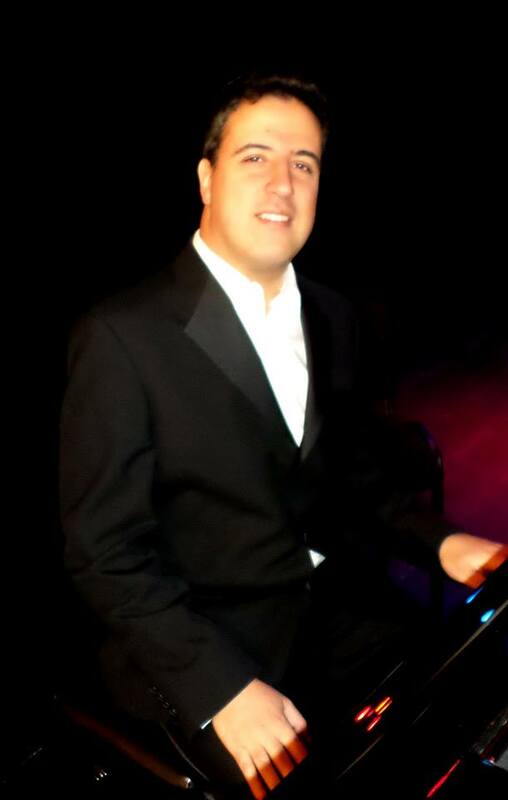 and a Jury member at International Music competitions in Spain, Israel, Serbia, Georgia and the United States, Bulychev-Okser divides his time performing worldwide, and organizing international music events, such as Gershwin International Music competition in New York and Alion Baltic International Music Festival in Estonia, Latvia, Finland, Sweden, and Russia. In 2014, Michael Bulychev-Okser founded the Alion Baltic International Music Festival, in Tallinn, Estonia. The festival is dedicated to presentation and popularization of Estonian Music Culture around the World. Pieces presented at the festival include Pohjamaa Lapsed by A. Haava and also music by Estonian Composers of International recognition: J. Part and J. Raats and others. The mission of the Alion Baltic International Music Festival is to discover the talents of Estonian instrumentalists and vocalists in the Baltic Region and around the world, and to help them find performing opportunities. Alion Baltic International Music Festival 2014 is proved to be a unique musical event, organized on a large-scale international level. The festival presented 21 concerts in Tallinn, Narva, Rakvere, Johvi and other cities around Estonia. The performers were world-recognized pianists and vocalists from Estonia, The United States, Bolivia, Russia, Germany, Japan, Spain, France, China, Greece, Serbia, Taiwan, and Uzbekistan. The Estonian community met it with an overwhelming enthusiasm. Alion Baltic International Music Festival 2014 also presented a number of master classes in piano and vocal performance, given by the world’s best Pianists and Vocalists. Officials from the Estonian Ministry of Culture and other official organizations gave their gratitude to the Alion Baltic International Music Festival 2014. Some of the esteemed invited guests - politicians, businessmen and clerics - were present at the Award Ceremony and the Concluding Gala Concert on July 15 in Tallinn. Estonian media – press, TV and radio stations (such as TV4, Postimees, and others) illuminated the festival. Also, newspapers and journals in various languages from Norway to Germany published articles about the event. The Second 2015 Alion Baltic International Music Festival is presented by the Estonian Alion Media Allience, Inc. and also by Shostakovich Cultural Program, Inc., Est. 1989, a not-for-profit organization, whose mission is to promote cultural and educational programs / events around the world. An honored alumnus of The Juilliard School, Michael Bulychev-Okser is a Visiting Professor at New York University since 2003 .